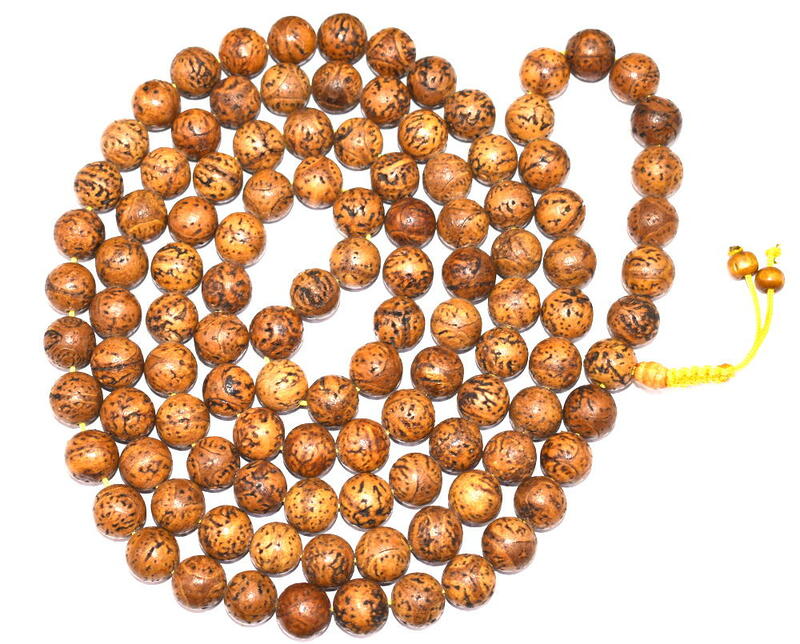 Bodhi Seed Prayer Bead Mala from the Bodh Gaya forest. It is said that Buddha gained enlightenment while meditating under a Bodhi tree, and these special seeds hold a sacred place in any Buddhist or Hindu heart. Used for Japa Meditation to gain enlightenment (although mostly to become more spiritual) . It is said that while Prince Siddhartha was sitting under a Bodhi tree meditating, he became Buddha through enlightenment. 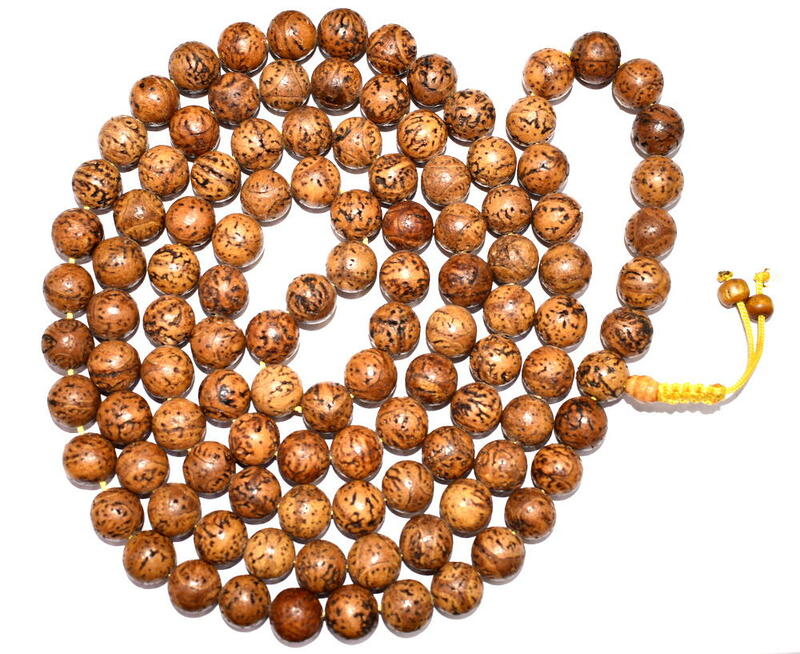 Thus the Bodhi Seed Prayer Bead is highly prized as the Buddha Bead for obtaining enlightenment. Bodhi in sanskrit translates to “enlightened” or “awakened,” therefore the bodhi seed means “enlightened seed.” Bodhi is also a term in Buddhism to reflect a Buddha’s understanding of the true nature of things. Many Buddhist wear the bodhi seeds during their meditation practices to ultimately reach enlightenment. The seeds have a special significance to all seekers of divine wisdom not matter what form of eastern religious philosophy is followed. Bodhi Seed Beads are used by Yoga practitioners, Hindi’s and Buddhists for Japa Meditation and Healing. The Bodhi Seed Prayer Bead Mala is especially used for becoming closer to spiritual enlightenment in many different eastern influenced and western new age practices.